To order please fill out the order form at the bottom with the product number and quantity. 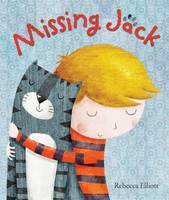 Description: Missing Jack. 32 page paperback. Toby's cat, Jack is the best cat ever. But Jack is getting old - and Toby will miss his furry best friend terribly when he's gone. This book addresses the difficult subject of the death of a pet with warmth, sensitivity, and well placed humour. Suitable from 3 years. 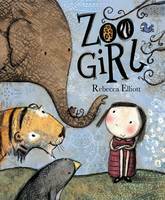 Description: Zoo Girl. 32 page paperback. A little girl, left behind, is taken in by zoo animals. The keepers who find her know they have found a daughter. A celebration of friends and family that is especially poignant for adoptive families. 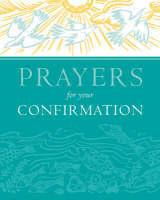 Description: Prayers for Confirmation. 48 page hardback. This stylish collection of some of the most important prayers and Bible verses from the Christian tradition provides an appropriate and respectful keepsake to mark the occasio of confirmation for a child as young as 9 through to adult. 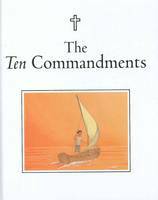 Description: Ten Commandments. 48 page hardback. A presentation of the Ten Commandments with additional prayers from the Psalms, Proverbs, and wisdom of Jesus. Suitable from 7 years. Description: The Lion First Bible 480 page hardback book. 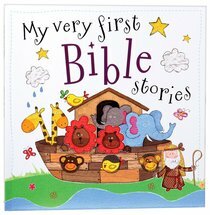 Here are more than sixty Bible stories, specially chosen for young children; a foundation on which to build a growing knowledge of the Bible. With bright illustrations and simple, clearly laid out text, this retelling is ideal for beginner readers. Suitable from birth to 7 years. 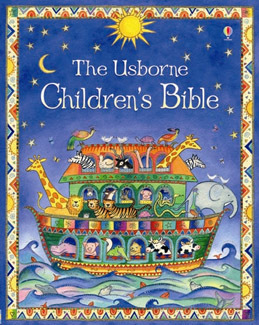 Description: The Usborne Children's Bible. 144 page hardback. Beautifully illustrated collection of best know and best loved stories from the Old and New Testaments for young children. Suitable from 5 years. Description: Would you like to know Jesus? 28 page paperback. 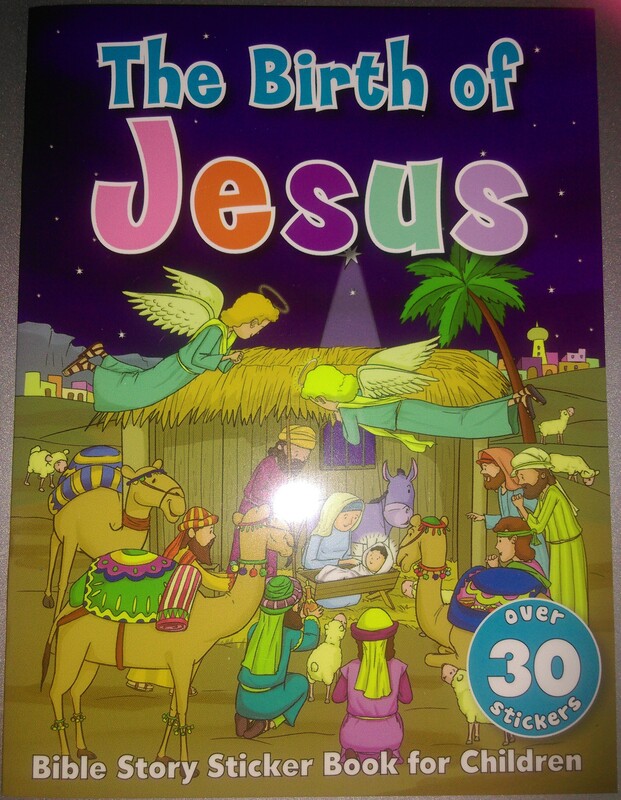 A little book introducing Jesus to young children with charming pictures. Suitable from birth. Description: More Great Bible Stories Activity Fun. 64 page paperback. This fantastic fun filled little book is great for journeys, Sunday schools, giveaways or rainy days. All puzzles and activities are based around the greatest Bible stories. Activities include dot-to-dot, spot the difference, colouring, match the pairs, mazes and many more. Including Bible references on each page. Suitable for 5 - 11 years. Description: Stories Jesus Told Activity Fun. 64 page paperback. This fantastic fun filled little book is great for journeys, Sunday schools, giveaways or rainy days. All puzzles and activities are based around the greatest Bible stories. Activities include dot-to-dot, spot the difference, colouring, match the pairs, mazes and many more. Including Bible references on each page. Suitable for 5 - 11 years. Description: Bible Children Activity Fun. 64 page paperback. This fantastic fun filled little book is great for journeys, Sunday schools, giveaways or rainy days. All puzzles and activities are based around the greatest Bible stories. Activities include dot-to-dot, spot the difference, colouring, match the pairs, mazes and many more. Including Bible references on each page. Suitable for 5 - 11 years. Description: Joseph Puzzle Book. Paperback book - 32 pages. A5 puzzle book allows children to explore the story of Jospeh and his family. Suitable from 5 years. 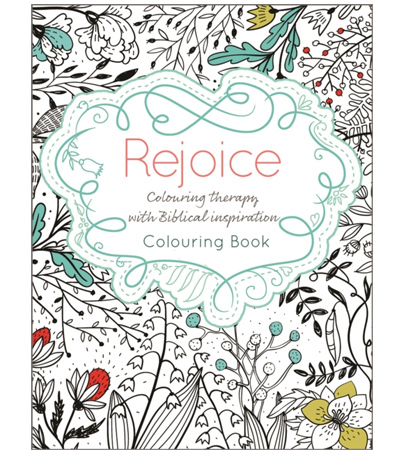 Description: Rejoice - Colouring Therapy with Biblical Inspiration. 64 page paperback. Rejoice is a colouring book which includes inspirational quotes and Scripture verses, plus assorted gift tags, bookmarks and cards to colour and share. 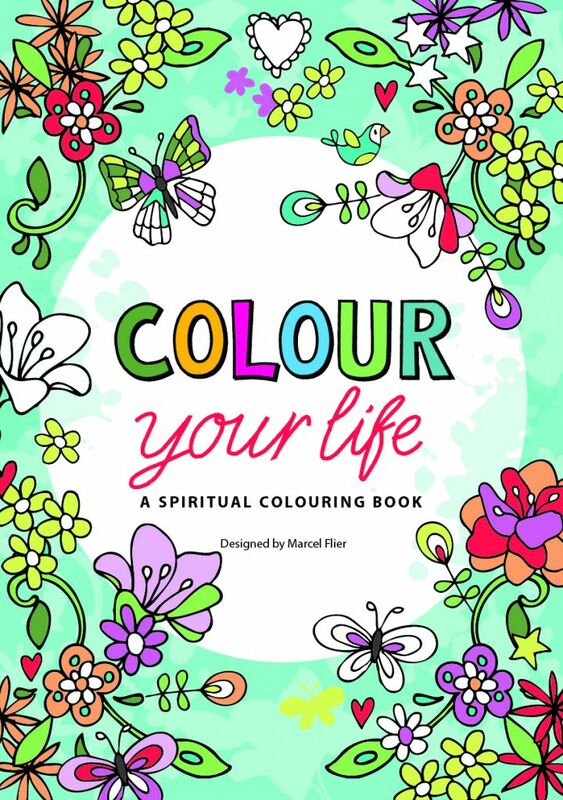 Description: Colour your life is the perfect way for you to relax and unwind your mind! Written and illustrated by Marcel Flier, this paperback book contains a selection of designs along with some inspirational Bible verses. 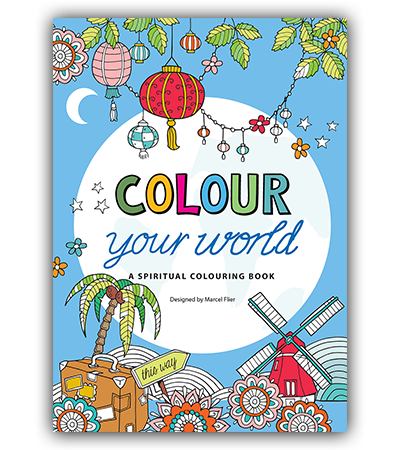 Description: Colour your World - is the perfect way for you to relax and unwind your mind! Written and illustrated by Marcel Flier, this paperback book contains a selection of designs along with some inspirational Bible verses. 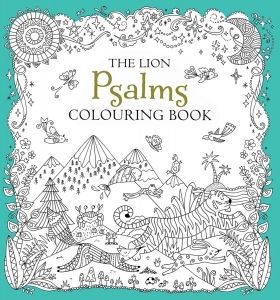 Description: Lion Psalms Colouring Book. Join the colouring craze and add a splash of colour to these beautiful and intricate black and white line drawings, just waiting for your creative input! Psalms, and verses based on psalms, are accompanied by detailed illustrations of birds, patterns, landscapes, and more. Create a stunning masterpiece - your own personalised book of psalms! 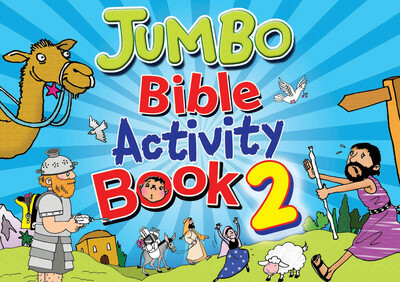 Description: Jumbo Bible Activity Book 2.Now there are even more games and activities to help children learn about their favourite Bible stories! The second Jumbo Bible Activity Book is packed with puzzles, pictures, dot-to-dots, hidden objects and your favourite Bible stories that will keep even the most inquisitive young minds busy! Fun for all the family as they learn and play. 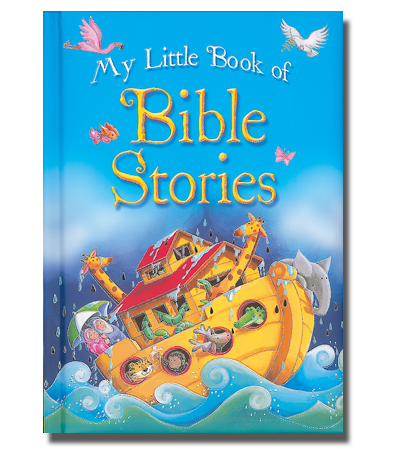 Description: My Little Book of Bible Stories. 30 page padded hardback. Introduction to the Bible featuring traditional Bible stories. Suitable from birth. Description: My Little Book of Prayers. 30 page padded hardback. 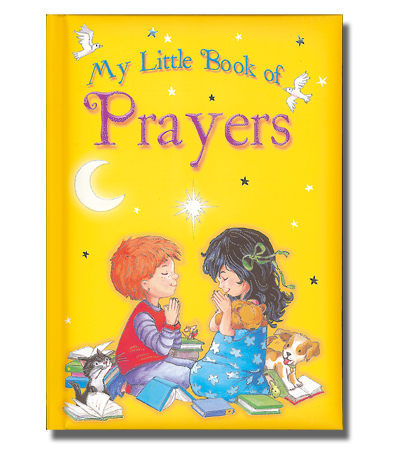 Introduction to prayers featuring well-known traditional prayers for little ones. Suitable from birth. Description: 365 Days - Stories, Prayers and Promises. 256 page hardback. 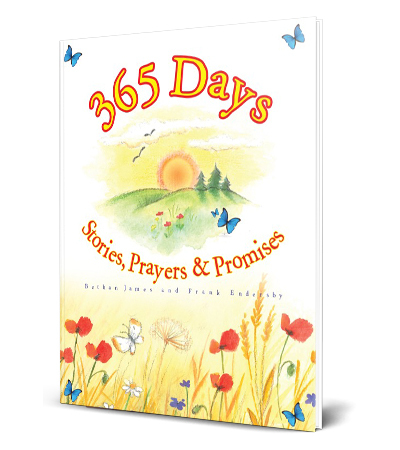 A bible story, prayer or promise for every day of the year. Beautifully illustrated, perfect fro bedtime reading. Suitable from birth. Description: My Very First Bible Stories. A delightful collection of well-known Bible stories provide a simple introduction to the important messages of the Bible. Charming, rhyming text and beautiful illustrations make this perfect for young children and adults to read together. Suitable from birth. 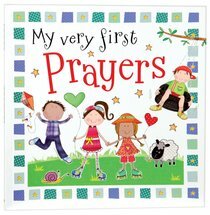 Description: .My Very First Prayers.With beautiful illustrations and sweet, rhyming text, My Very First Prayers makes prayer easy and accessible for young children. 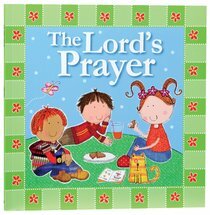 This charming book encourages children to talk to God and share their lives with Him. Suitable from birth. Description: The Lord's Prayer. Using scenes from daily life, this beautiful book provides a perfect introduction to the prayer Jesus gave us. It is ideal for family story time, as the text and illustrations encourage young children and adults to read together. Suitable from birth. 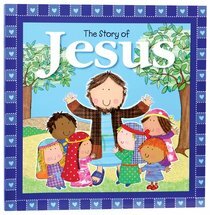 Description: The Story of Jesus.With beautiful illustrations and rhyming text, this beautiful book provides a perfect introduction to the life of Jesus. It is ideal for family story time, as the text and illustrations encourage young children and adults to read together. Suitable from birth. 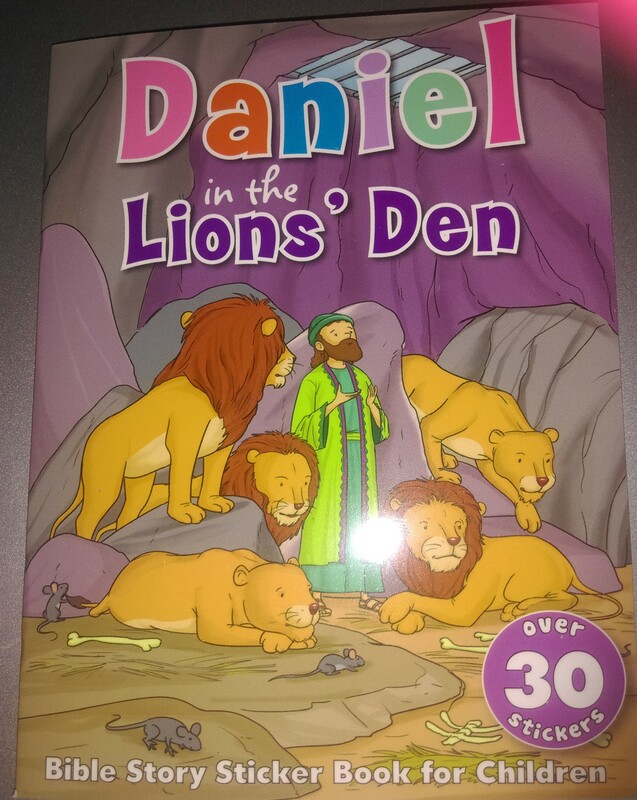 Description: Daniel and the Lions Den - mini Bible story book, with 30 stickers are included in this neat carry case. Suitable from 2 year olds. 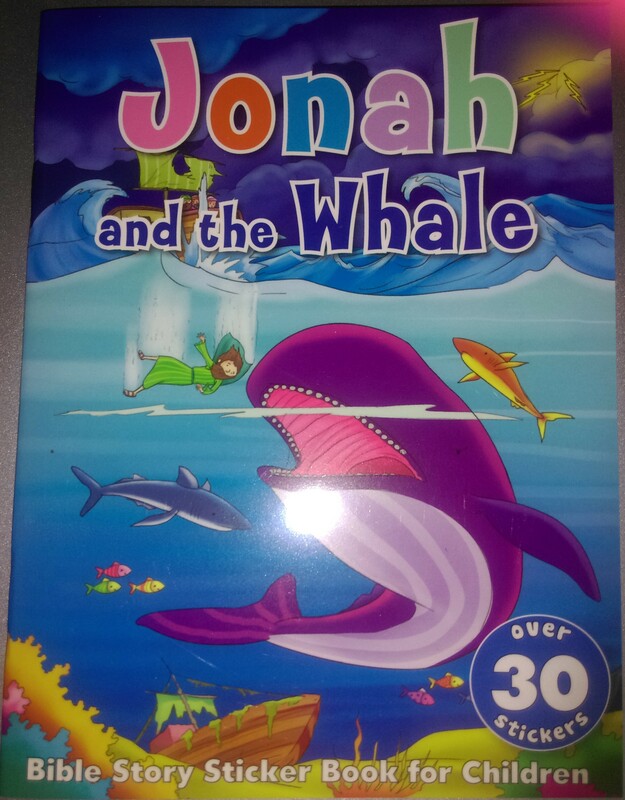 Description: Jonah and the Whale - mini Bible story book, with 30 stickers are included in this neat carry case. Suitable from 2 year olds. 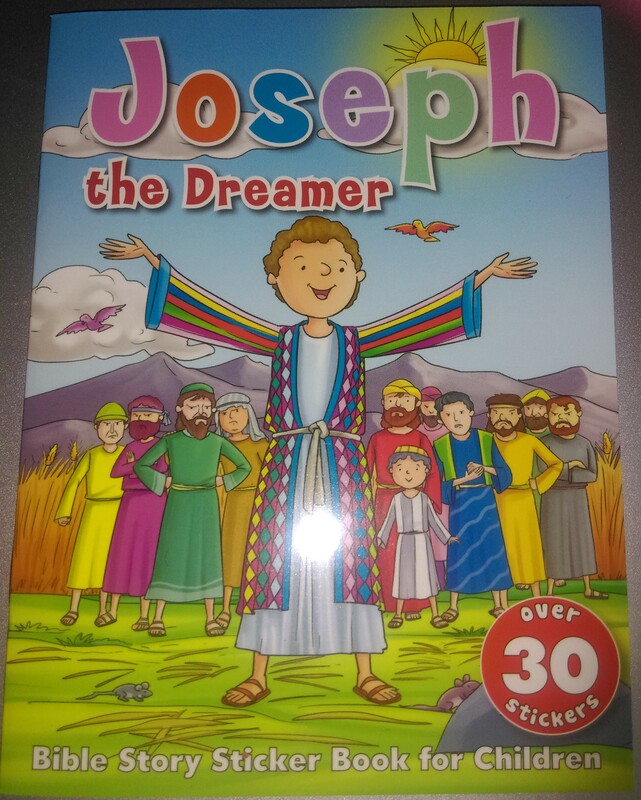 Description: Joseph the Dreamer - mini Bible story book, with 30 stickers are included in this neat carry case. Suitable from 2 year olds. 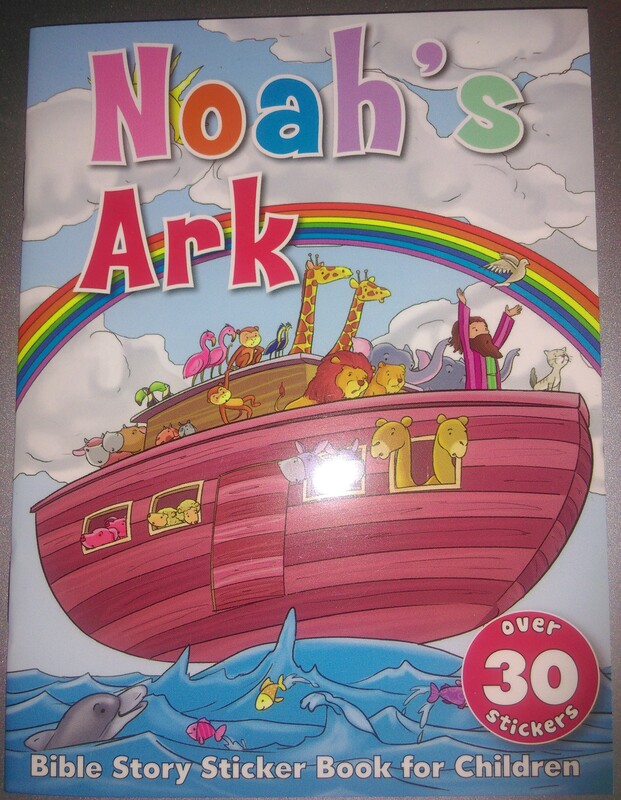 Description: Noah's Ark - mini Bible story book, with 30 stickers are included in this neat carry case. Suitable from 2 year olds. 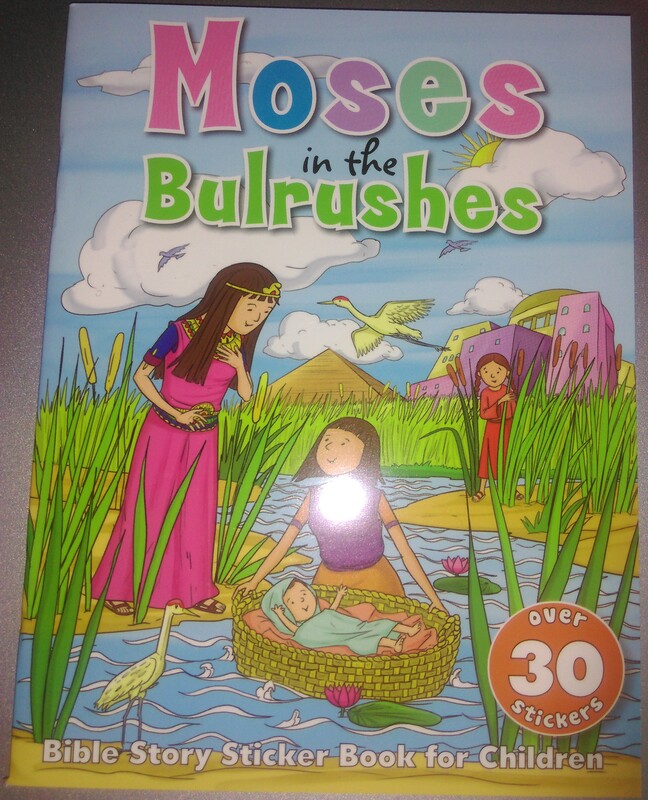 Description: Moses in the Bulrushes - mini Bible story book, with 30 stickers are included in this neat carry case. Suitable from 2 year olds. Description: The Birth of Jesus - mini Bible story book, with 30 stickers are included in this neat carry case. Suitable from 2 year olds. 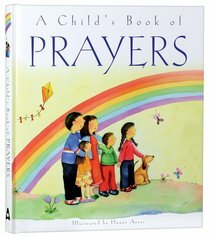 Description: A Child's Book of Prayers. A Child's Book of Prayers is a beautifully illustrated collection of prayers which is ideal for parents to use with their children. It is also suitable for older children to use themselves as they learn to share their lives with God. The prayers cover a wide range of subjects, including graces, prayers for bedtime and thanksgiving. Suitable from 4 years. 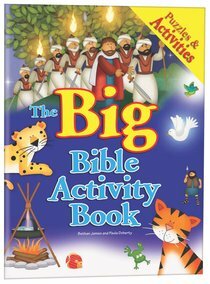 Description: The Big Bible Activity Book. 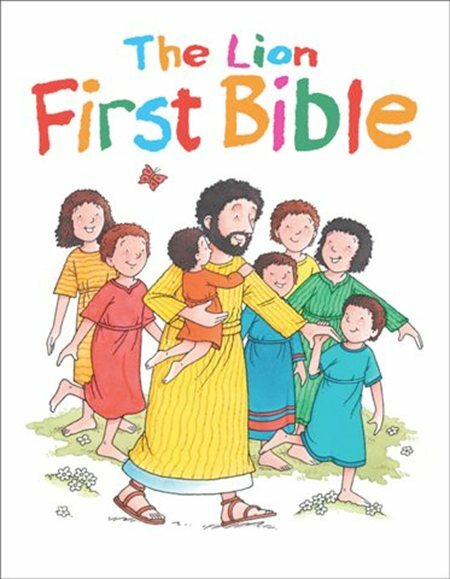 Well loved stories from both the Old and New Testaments are retold for children in this bumper activity book. The double page spread format includes beautiful illustrated retellings of each story, providing points of interest for parents to talk through with young children, and a variety of activities are then included to help children engage with the story in a fun way. Description: Prayers and Promises for Boys incorporates more than 70 themes that will help guide your adventurous boy in how to connect with his Creator in all the different areas of his life. It will help him understand God's promises about courage, trust, wisdom, worth, perseverance, and much more, while also encouraging him to pray. He will see that by staying connected to God, and believing the promises of his Word, he can live a fulfilling, blessed life in close relationship with his heavenly Father. Suitable from 8 years. Description: Prayers and Promises for Girls incorporates more than 70 themes that will help guide your sweet girl in how to connect with her Creator in all the different areas of her life. It will help her understand God's promises about faithfulness, trust, wisdom, worth, beauty, strength, and much more, while also encouraging her to pray. She will see that by staying connected to God, and believing the promises of his Word, she can live a fulfilling, blessed life in close relationship with her heavenly Father. Suitable from 8 years.